Product information "Floral Printed Wool Bow Tie - Red"
Finding bow ties of good quality is much harder than finding good neckties, so we attended to the matter. Of course they are self-tied and adjustable from collar size 37-46 (or 14.5-18 in inches). All of our bow ties are diamond tipped (asymmetrical, pointy ends) since we think this shape lends itself best to the slightly eccentric character of bow ties. 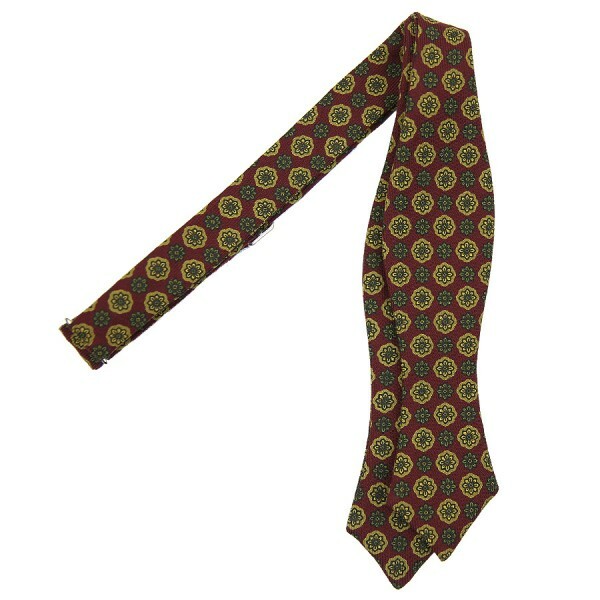 Related links to "Floral Printed Wool Bow Tie - Red"